by Don Dinkmeyer, et.al., 1997. 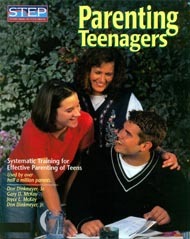 Parenting Handbooks for young children, elementary school aged, and teenagers are available . Bullies to Buddies: How to Turn your Enemies into Friends by Izzy Kalman. 2005.
by Gary L. Landreth, Ph.D., and Sue Bratton, Ph.D., 2006. Ages and Stages: A Parent’s Guide to Normal Childhood Development, by Dr. Charles E. Shaefer. 2000.
by Daniel Siegel, M.D., and Mary Hartzell, M.Ed., 2004.